What IF you’re exactly where you need to be? 1. We’ve come a long way, Baby! THANK YOU! 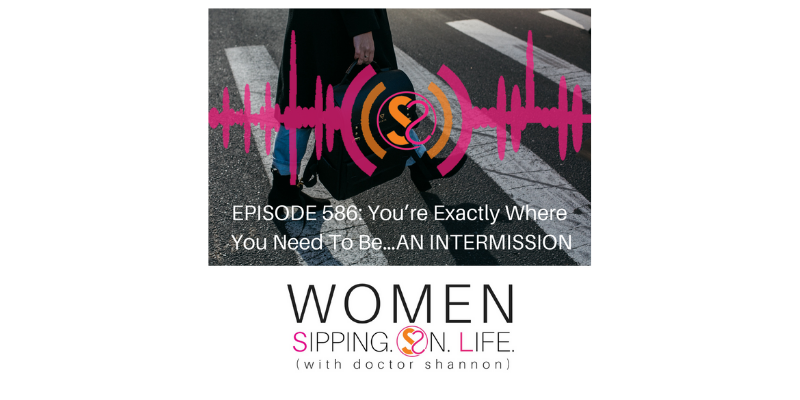 We’re on Day#25 of our Enough Is Enough Series and EPISODE 586 of Sipping On Life together. Thank you so much!! I’ll not only do my best to answer, but then we’ll be able to ASK the deeper questions. 5. April 24 – 28 I’m leading a team of 12 sacred souls through an intense, 4-DAY S.O.L. ADVENTURE that will absolutely transform lives. I’d love YOU to be one of them. Be “there” (wherever there is for you.) HERE. First.